Well we now know who will be playing in the Emirates FA Cup Semi Finals at Wembley Stadium on the weekend of Saturday 20th & Sunday 21st April. Tottenham will face Man United, after beating Swansea convincingly 3 – nil and Manchester United eventually overcame Brighton after a late goal by Nemanja Matic who sealed victory for them. 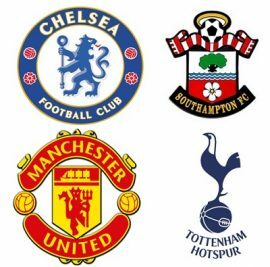 In the other semi-final will be Southampton who beat Wigan 2-0, who will face Chelsea who needed extra time to get past Leicester City. With the winners going on to play in the Final on 19th May, there is also a possibility we might see another all London Final like last year. As it is a forgone conclusion Manchester City have won the Premiership this season all four semi-finalists have something to play for. How about Southampton for the final? It is 42 years since they last won the FA Cup in 1976 when they beat Manchester United 1 – nil, or perhaps you might be supporting Tottenham who last won the trophy back in 1991 when they beat Nottingham Forest 2-1. Whichever team you support the Emirates FA Cup Semi Finals are guaranteed to be keenly contested affairs and not to be missed. There are a few different travel options available to you if you are going to watch either of the Emirates FA Cup Semi Finals at Wembley Stadium. You could go by Public transport – London Overground railway or TFL Tube services. Alternatively you may wish to consider booking one of our London chauffeur cars as you might be pleasantly surprised how cost effective this can be. Also if you are travelling in a larger party of friends or corporate guests we can provide you with Minibus services.